Mistakes on a credit report can greatly impact people’s lives, and aside from the repercussions of consumer loan applications, can lead to higher borrowing costs. 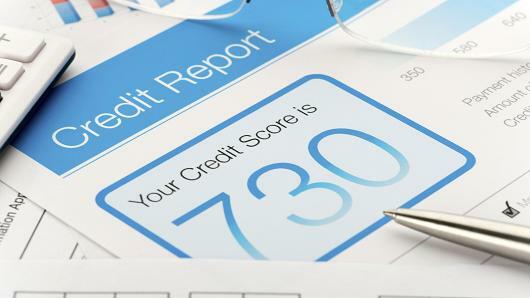 But soon Americans could see fewer errors on their credit report, thanks to intervention by a governmental consumer watchdog. In a March 2017 report, the Consumer Financial Protection Bureau (CFPB) found the three big credit reporting bureaus to have insufficient quality control systems. To lessen the number of inaccurate reports, the agency is directing consumer reporting companies to work on process improvements such as oversight of data, implementation of quality control programs, proper investigation of consumer disputes and other changes. Reforms are expected to take place by July 1 and that includes eliminating a few negative reports on people’s credit profiles, such as certain tax liens and civil judgments. The Wall Street Journal estimates that nearly 12 million consumers could see a boost in their credit scores by 40 points or more. However, improved practices are just one component of more accurate (and higher) credit scores. Technology is another. Capital One recently reported that its free credit score monitoring app CreditWise has resulted in millions of users seeing an increase of 20 points in their credit score. The Virginia-based bank launched the mobile app a year ago and is downloadable by everyone, not just customers of Capital One. Here’s a growing key trend: According to the Capital One Credit Confidence Study, 71 percent of consumers surveyed stated they have control over their credit score. The reason might be that over the last year, more and more credit score monitoring apps have become readily available to consumers, some that are even free, helping boost one’s credit score. Therefore, no one should have an excuse these days for not monitoring credit and trying to learn how to improve it.